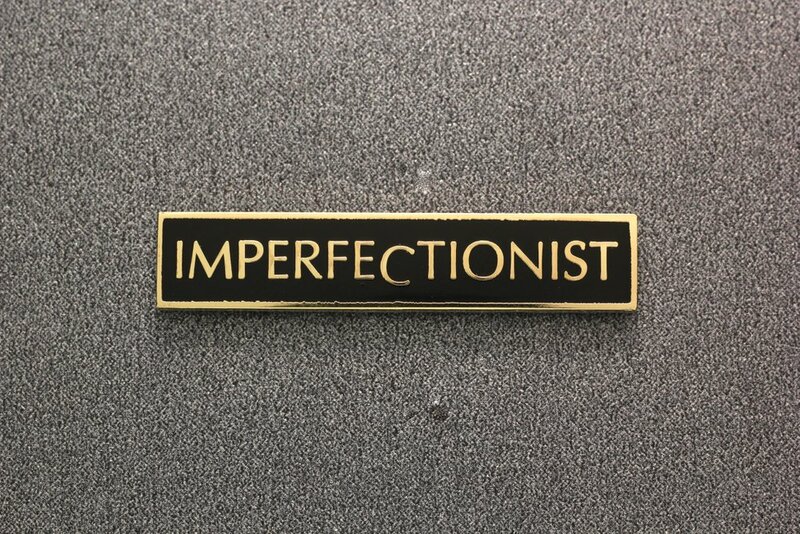 A pin for those who have embraced the imperfect nature of reality. 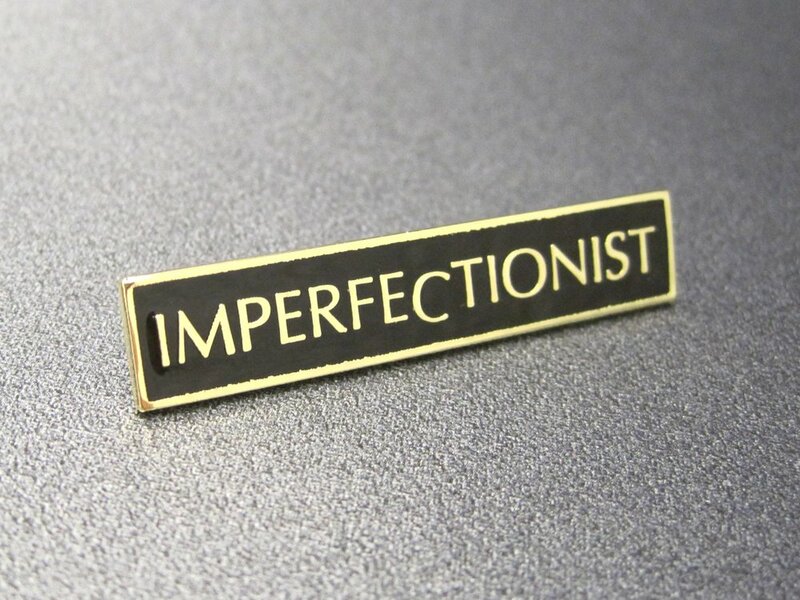 Measures 1.75" wide with shiny gold color plating and hard black enamel fill. Comes to you carded and bagged.